In Aristotle's teleological view of the world, natural things come to be and are present for the sake of some function or end (for example, wings are present in birds for the sake of flying). Whereas much of recent scholarship has focused on uncovering the (meta-)physical underpinnings of Aristotle's teleology and its contrasts with his notions of chance and necessity, this book examines Aristotle's use of the theory of natural teleology in producing explanations of natural phenomena. Close analyses of Aristotle's natural treatises and his Posterior Analytics show what methods are used for the discovery of functions or ends that figure in teleological explanations, how these explanations are structured, and how well they work in making sense of phenomena. 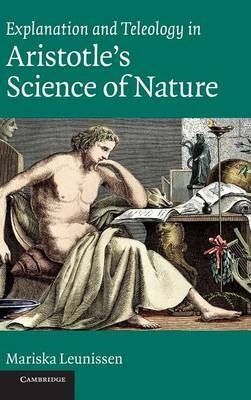 The book will be valuable for all who are interested in Aristotle's natural science, his philosophy of science, and his biology.